Keven Swartz owns and operates True North Inspections. He became an AHIT Certified Home Inspector in 2002 and went to work for a nationally-known home inspection company. In 2005, he joined the American Society of Home Inspectors (ASHI). After four years of honing his skills, he decided to take his experience, keen eye for detail, and love for home inspecting in a new direction – and that’s when True North Inspections was founded! Throughout his career, Keven has completed more than 6,000 inspections. 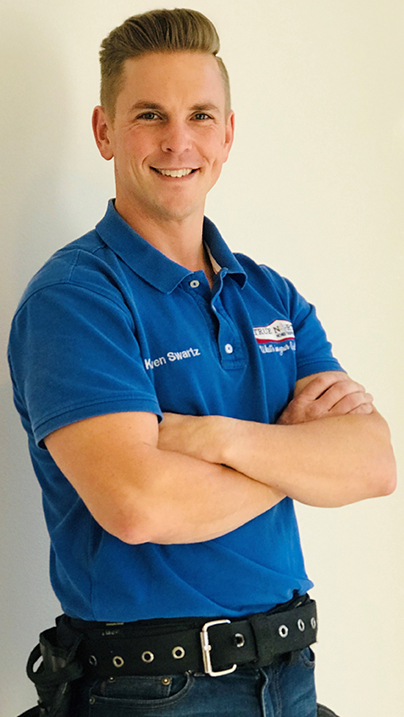 Before he discovered his true calling as a home inspector, Keven gained valuable experience as a Service Technician and Final Inspection member at Genie Industries. He also gained hands-on general construction knowledge in areas such as framing, drywall, and painting. Since switching to home inspections, Keven has taken great strides to ensure continual excellence, including undergoing multiple certification courses. As a home inspector, Keven has earned the nickname ‘Gadget Guy’ for his usage of high-tech equipment during each inspection. Most home inspectors don’t use tools such as aerial drone photography or a combustible gas detector, but Keven is happy to go the extra mile for his customers by investing in this highly useful technology. Keven also sets himself apart from his competitors by including a free thermal inspection and a free pest inspection with every home inspection service. Keven takes great pride in his professional and personal lives. He and his wife have been married for 18 years, and he loves spending time with her and their three children. Keven is also a 4th generation Seattle resident, a drummer, an avid Mariners fan, and he enjoys watching Seahawks games with family and friends.